I am a student who is interested in the international affairs and the opportunities which the world can offer. Currently studying for a master’s degree at the International Business at the University of National and World Economy in Sofia, Bulgaria. Two years ago, during my Bachelor’s Degree, I decided to participate in an exchange program – called Erasmus – at the University of Applied Science in Prague, Czech Republic. I was looking for a life changing experience and an opportunity to develop and educate myself. I have always been curious about studying abroad. 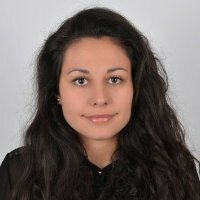 While I was choosing where to do my Erasmus study, I made my own research about the countries, universities, and the cost of living and so on. It took me a long time. Two years ago I would have recommended you to start the preparation as early as possible but today I wouldn’t. There is a new website www.businessculture.org which can help you to get ready for the new experience abroad without any efforts. The website provides information in 9 different languages about 31 countries across Europe. This website could give an opportunity to increase your awareness about the study placements abroad and business opportunities. If this site existed two years ago, I would not have lost so much time to make my own research because the information here is very well systematized, useful and easy to find. The information covers the main work & life related topics such as cultural taboos, education level, business communication, business etiquette, internship and student placements, cost of living, work-life-balance, social activities, etc. The Passport to Trade 2.0 project will give you valuable insights about your upcoming life and will help you in your future endeavors. Read, watch and enjoy the preparation of your new life with the www.businessculture.org. I highly recommend it to you!